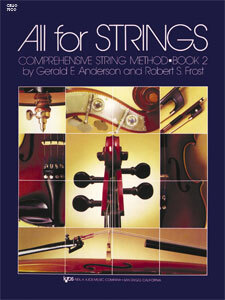 All For Strings Book 2 - Cello composed by Gerald Anderson, Robert Frost. Orchestra. For cello. Method book. All for Strings. Elementary. Method book. Published by Neil A. Kjos Music Company (KJ.79CO).ISBN 849732379.All for strings is a comprehensive three-volume method surrounded by a wealth of supplementary materials for teaching and performance. 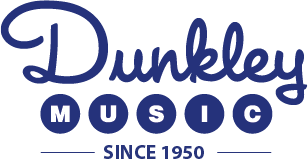 This complete curriculum covers virtually every aspect of beginning through intermediate string study, emphasizing technical skills, rhythmic understanding, and quality musical experiences. Many of the National Standards for Music Education can be easily implemented into the classroom setting with the varied components All for Strings has to offer. Book 2 devotes many exercises and musical selections to the development of major and minor left hand finger patterns for all string players, as well as shifting for cellists and bassists. New bowing styles are introduced, and more advanced rhythm patterns are incorporated. As in Book 1, a great variety of solos, duets, trios and ensembles are included - perfect for performance!